Be sure to check out our reviews for season one, season two, season three, and season four. "You are far too narcissistic to kill yourself." Love/hate relationships are always tricky. 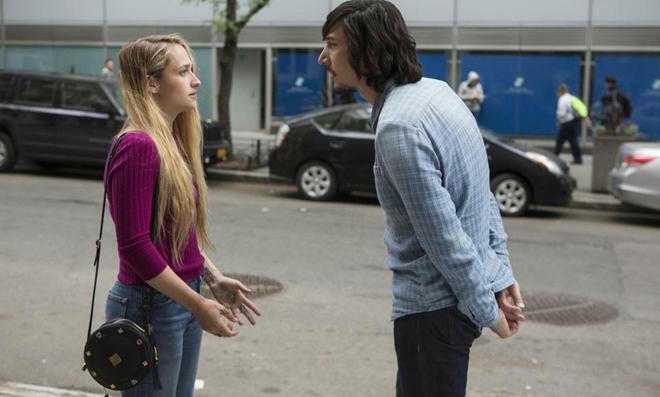 Even when it comes to TV shows -- and especially if that TV show happens to be HBO's 'Girls.' On the one hand, fans can't help but be drawn to the series' many entertaining and enlightening qualities. But on the other hand, they can't simply ignore the show's incessantly irritating and unlikeable attributes either. Believe me, I've tried. Marked by undeniable wit and an insightful view of millennial growing pains, the series is also home to a consistently infuriating cast of characters. One that many viewers have grown to increasingly love to hate. Or maybe it's hate to love? Either way, the word hate is definitely involved. But as undeniably frustrating as the ensemble can often be, the writers always manage to filter their troublesome behavior through fundamentally human flaws, keeping the protagonists relatable… most of the time. And with season five, the characters continue to reach new levels of clueless self-absorption while simultaneously making surprising strides toward legitimate maturity. Working as an English teacher and dating a new boyfriend, Hannah (Lena Dunham) attempts to navigate her professional and personal life. Meanwhile, Marnie (Allison Williams) begins to second-guess her recent marriage, Shoshanna (Zosia Mamet) settles into her new job in Japan, and Jessa (Jemima Kirke) strikes up an unlikely romantic relationship that could cause heated conflict within the group -- sending each woman on a precarious path toward self-discovery or potential self-destruction. Much like the previous season, season five tends to isolate the four core protagonists from each other -- and while this does limit their amusing interactions with one another, it also opens up some interesting narrative arcs. In fact, several episodes tend to emphasize focus toward one member of the group, including an installment mostly dedicated to Shoshanna's experiences in Japan, and an entry almost exclusively dedicated to a dalliance between Marnie and a long since departed character (one that many viewers likely thought they'd never see again). This latter episode actually proves to be not only one of the season's best, but actually one of the series' very best as a whole. And considering it focuses on Marnie, a character that has gradually become one of the show's most unlikeable, that's a pretty impressive feat. As an old flame reenters her life, the series examines just how much people we were once so close with can change over time, even if the fundamental emotion tied to that relationship never fully wavers. Almost completely self-contained, it's an engaging, insightful, and powerfully understated piece of storytelling, helping to give Marnie new layers while elevating the entire season above some of its other more irritating quirks. Of course, that's not to say that other installments and arcs aren't strong in their own right. Shoshanna's path toward independence and professional stability ends up being entertaining and satisfying -- turning her into one of the show's more likeable leads. Likewise, Elijah gets his first truly substantial storyline, and actor Andrew Rannells does some rather affecting work as the character comes to terms with his own self-worth. Jessa and Adam's uneasy coupling is also handled quite well, playing up the inherent conflict and potential volatility of their romance while still taking advantage of the performers' palpable chemistry. With that said, it's actually Hannah's arc that ends up being the least successful and most problematic. Material dedicated to her parent's dissolving marriage is solid, but some scenes involving her relationship with Fran and career as a teacher take her obliviously immature behavior a bit too far. This is especially true of a particular sequence between Hannah and the school's principal (the bit is fairly amusing but the idea that she doesn't get fired on the spot is ridiculous). Thankfully, her storyline actually reaches a pretty interesting place toward the season's end, and the last scene demonstrates a potential turning point that could finally see her grow in a substantial way. Setting the stage for the show's upcoming sixth and final season, 'Girls: The Complete Fifth Season' thrusts each of the series' characters into situations both fresh and familiar, challenging them to either repeat the same mistakes… or make new ones. While the characters repeatedly push the line between enjoyably flawed and infuriatingly awful, the series maintains its strong voice, hilarious dialogue, and deceptively thoughtful aesthetic. This might continue to be a love/hate show, but the first half of that equation thankfully outweighs the latter. 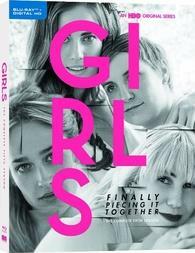 HBO presents 'Girls: The Complete Fifth Season' in a Blu-ray/Digital Copy Combo Pack. All ten episodes and special features are spread over two BD-50 discs that come housed in a keepcase with a cardboard slipcover. An insert with instructions for an UltraViolet/iTunes digital copy is also included. After some warnings and logos, the discs transition to standard menus. The show is provided with a 1080p/AVC MPEG-4 transfer in the 1.78:1 aspect ratio. Like previous seasons, the series continues to impress with a strong, detailed image. Outside of some negligible grain-like noise here and there, the digital source is pristine and free from any notable technical issues. Clarity and depth are strong throughout, rendering a nice assortment of fine textures in clothing patterns, faces, and locations, allowing every ripple of water in a pond and every pedestrian on a crowded street to remain easily visible and detailed. Colors are also nicely saturated, adhering to a slightly pastel yet still rich palette that pops nicely in certain scenes (like a colorful rock concert in Japan). Contrast is balanced well with bright whites and good shadow delineation. Sharp, crisp, and devoid of any egregious digital artifacts, 'Girls' comes to Blu-ray with another strong video transfer. The episodes are presented with English DTS-HD MA 5.1 mixes, French DTS 5.1 mixes, and Spanish DTS 2.0 mixes with optional English SHD, French, Spanish, Finnish, Danish, Norwegian, and Swedish subtitles. Though modest in design, the dialogue heavy tracks perk up nicely during key scenes and music cues. Speech is mostly clear and well prioritized throughout, but there can be a very faintly strained quality to the high frequencies (particularly when characters yell… and they sure do love to yell). The overall soundstage is pretty restrained, but appropriate atmospherics (city ambience, background clatter, rain, wind) are spread throughout the room with solid directionality. With that said, though present, surround activity is usually rather faint. Thankfully, the mix livens up quite a bit during certain music selections, offering wide dynamic range, great separation, and strong low frequencies. A rock concert scene in Japan is especially noteworthy, bringing some thumping bass to the track. Expanded texture and stronger surround presence could have made the audio more enveloping, but as it stands the mixes are still solid, placing appropriate emphasis on the characters' often amusingly irritating conversations. Compared to previous seasons, HBO has put together a relatively slim collection of special features, dropping the usual assortment of commentaries. And though the once extensive supplements are missed, the included deleted scenes are amusing and the brief "Inside the Episodes" segments still offer some solid insights. All of the extras are presented in 1080p or 1080i with DTS 2.0 sound. Deleted and Extended Scenes (HD, 12 min) – Thirteen deleted scenes culled from episodes 1, 2, 4, and 5 are viewable separately or together. We get an assortment of amusing odds and ends, including quite a bit more of Shoshanna in Japan, but nothing here is all that necessary. Inside the Episodes (HD, 17 min) - Brief interviews with the cast and crew discussing each of the five episodes on disc one are included. The featurettes can be viewed individually or together. Deleted and Extended Scenes (HD, 8 min) – Five deleted scenes culled from episodes 8 and 10 are viewable separately or together. More amusing odds and ends are featured here, including an extended version of Hannah's hitchhiking experience. Inside the Episodes (HD, 18 min) - More interviews with the cast and crew are provided, this time discussing episodes 6-10. The featurettes can be viewed individually or together. 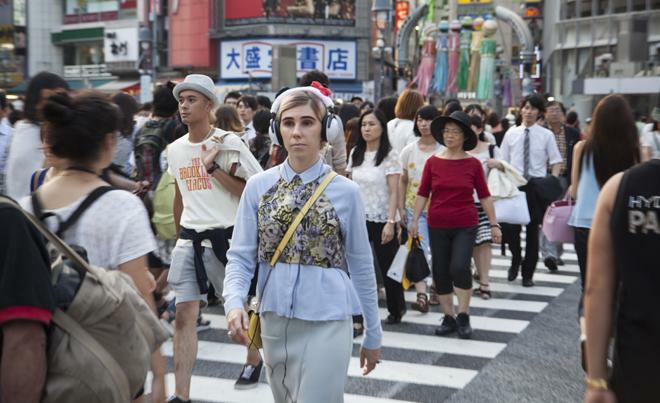 'Girls: The Complete Fifth Season' continues to be equally funny, insightful, and frustrating. The characters may not always be likeable, but their journeys remain engaging and (mostly) entertaining. The video transfer is strong and, though rather modest, the audio track is solid. Supplements are noticeably slimmer than previous sets (where are the commentaries? ), but what we do get is worthwhile. Recommended.